We've combined the road-proven EconoKIT H1 with the best of our MiniSet for this supercharged roadside solution. Like the H1, it includes our top-grade PowerDrive combination wrenches, an adjustable wrench, locking pliers, tire gauge, hex and star keys, screwdriver and more. 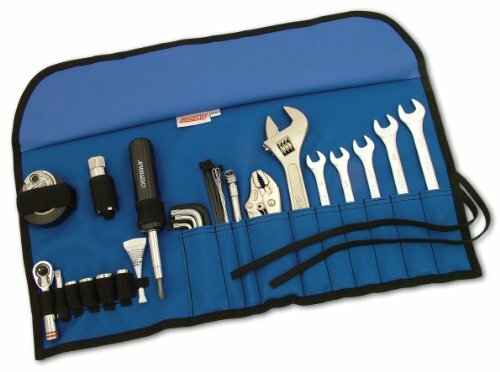 But you'll also love the mini ratchet and socket set, making this the last tool kit you'll ever need to buy.